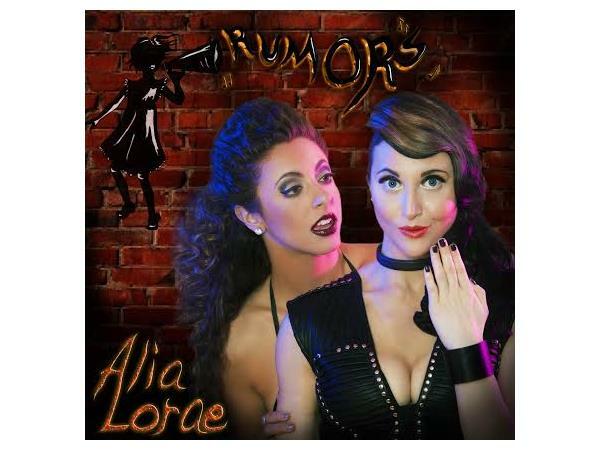 Alia Lorae, the Electro Empress is a twisted lovechild of Kate Bush and Bassnectar. She produces EDM that will make you both dance and think – dark, theatrical, and never without a sense of humor. A born performer, she has been singing ever since she could walk and talk. Given an early musical start, she attended the Suzuki Music School as a young child, then went on to join the Harmonaires - a nationally recognized, award-winning singing group with whom she performed at such venues as Shea Stadium and Carnegie Hall. Her early-years vocal recordings can also be found on Blake Rowe's "Circle of Life," a well-reviewed children's album released in 1994. Alia started playing with a small electric keyboard at age ten, and then graduated to a larger Yamaha keyboard on which she could record entire 16-track songs. From Elementary School through High School graduation, she excelled in the theater and arts programs, while at the same time churning out songs, visual art, and written fiction. During her college years, Alia honed her skills as a producer and performer. In 2007, she began performing as a back-up singer for Electro-Pop band The Velvet Code. They debuted new material at one of Susanne Bartsch and Kenny Kenny's dance party extravaganzas at the New York City club 'Area', to an audience of 3000+. After the band's founding member took the project to London, Alia began focusing on her first solo album. The music video for her first single, "Modern Monsters," hit the scene in October of 2010, and "The Mad and the Beautiful," a 9-song LP, was released later that December. Both the album and the video were met with glowing reviews, describing her sound as, "A much needed shot in the arm [for modern music]" (Vents Magazine), and "NIN meets Lady Gaga" (All What's Rock).